Ethiopia is yet again facing a humanitarian crisis that looks set to devastate much of the country’s population. Despite impressive growth figures over the last decade, 20 million Ethiopians are still under the poverty line. El Nino related weather is causing drought, destroying any chance of sustained poverty reduction. The UN released its prognosis last month — the number of people in need of emergency assistance had increased from 3 to 4.5 million people. Within a matter of weeks, this number was revised to upwards of 8.2 million. This is projected to double to 15 million by early 2016, with 350,000 children suffering from severe malnutrition. Unfortunately, history has repeatedly shown that response to these crises typically arrives late. The delay in response is an outcome of a variety of different factors; one that is often credited is the so-called ‘CNN effect’. Despite knowing what looms ahead, aid agencies can’t raise funds to avert a crisis until significant media and public attention is generated. Funding begins to flow with images of starving children, at which point the crisis is in full swing, and incredibly hard to stop. This late response is very costly. 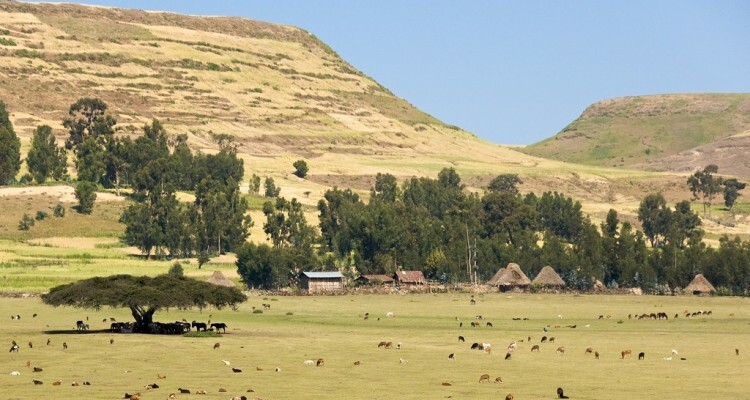 Combining UN data on the cost of providing life saving support, with evidence on the economic impact of drought on Ethiopian families, a late response is estimated to cost $1.7 billion. Our delay has dangerous and long lasting consequences for those most affected. This estimate is conservative, and would increase substantially with estimates for treatment of malnutrition, loss of life, and long term economic impacts on households. If we respond now, before the crisis expands deep into the highlands of Ethiopia, much of this suffering can be averted. Early response can capitalize on lower food prices where possible, and support families before they are forced into a downward spiral of selling assets, reducing their food consumption, and pulling children out of school. If we respond early, the total cost drops to $720 million. In other words, responding early would result in an estimated savings of at least $1 billion. Put another way, every day that response is delayed, the cost goes up by approximately $8 million. What if we respond now and find that the drought wasn’t as bad as expected? By these estimations, we would have to incorrectly predict and respond to the crisis three times before we exceed the cost of waiting and getting it ‘right’. And even if we do get it wrong, the money is not wasted. Transfers to households in non-crisis times have been demonstrated to allow families to build productive assets and income generating opportunities so that they don’t need support in later crises. I was in Ethiopia in 2012, right as parts of the country were coming out of a severe drought. At the time, agencies were throwing their hands up in the air because the response had been late – again. There were indications of a crisis as early as August 2010. These warnings were repeated in November. Despite this, full scale up didn’t occur until after the second failed rains, in July of 2011, by which point the drought had become a full scale crisis in the regions affected. The same story played out across the region. For example, in Somalia the crisis appeal was funded at only 47 percent despite several months of urgent early warnings. Once famine was declared, funding shot up to exceed 100 percent of the original request. Ultimately, the request for funding had to be doubled because the situation had deteriorated so far. This narrative is all too common. The Syrian refugee crisis only came to the forefront of the public’s attention recently. For the last four years, the UN, along with a multitude of partners, has been supporting refugees in neighboring countries. When the UN World Food Program (WFP) had to cut its aid package in half in the refugee camps due to a lack of funding, families began to seek refuge in Europe — at great financial and human cost. This summer, when the world witnessed a young boy drowned on a beach, the world mobilized to provide help — including increased funding to the agencies working in the region. But if that funding had been provided from the outset, we could have avoided so much human suffering. So here we are, in October of 2015, with a rapidly increasing humanitarian caseload in Ethiopia and indications of a severe impending crisis. Will we be reactive — triggered only by news reports of death and suffering — and watch as history repeats itself yet again? Or will we step to the plate and turn this into the “disaster that never happened”?